The new Epson Workhorse Enterprise printer. 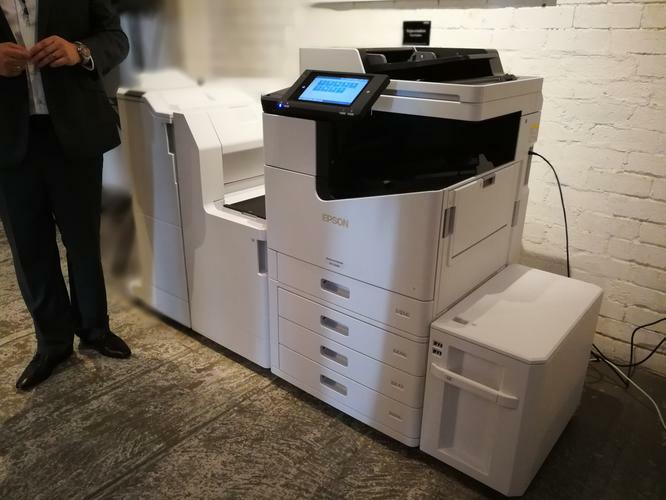 With 40bn pages being printed in Australia last year and with an average 20 people per device attached to printers, larger organisations are going to need fast, efficient beasts like this. 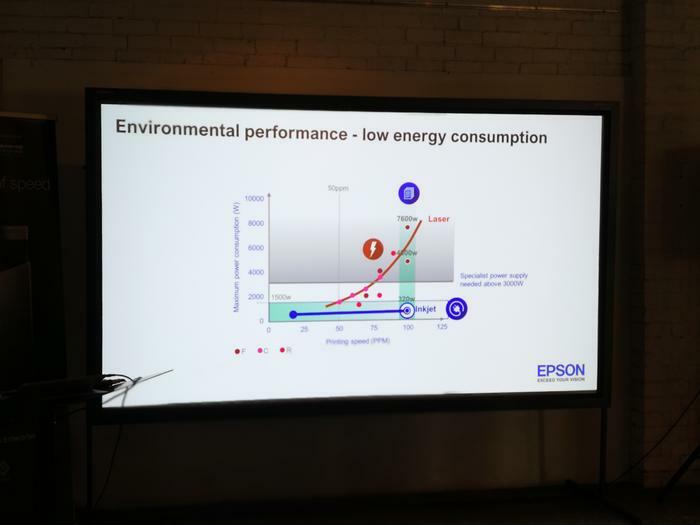 Epson has launched a new, “superfast, eco-efficient” range of business inkjet printers called the WorkForce Enterprise. 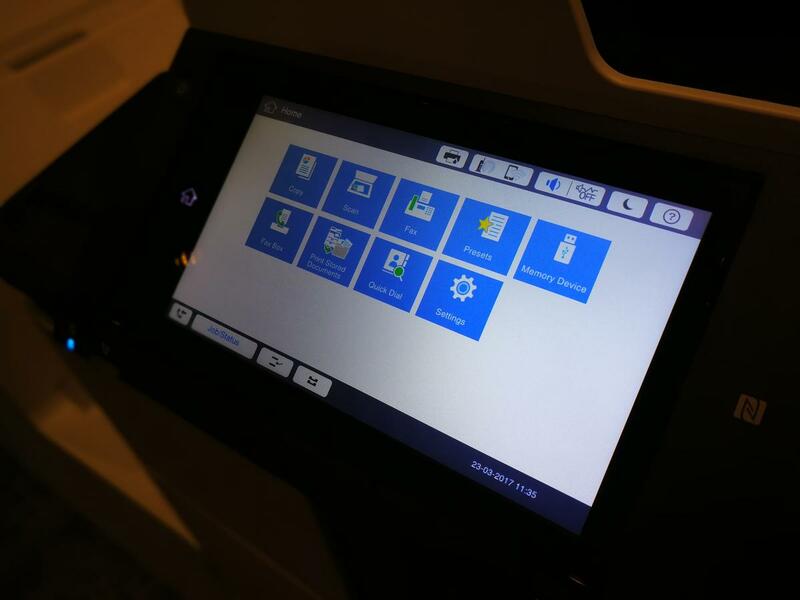 The 100 page per minute (ppm) colour office A3 printer offers low power consumption and uses fewer consumables than typical departmental laser copiers. 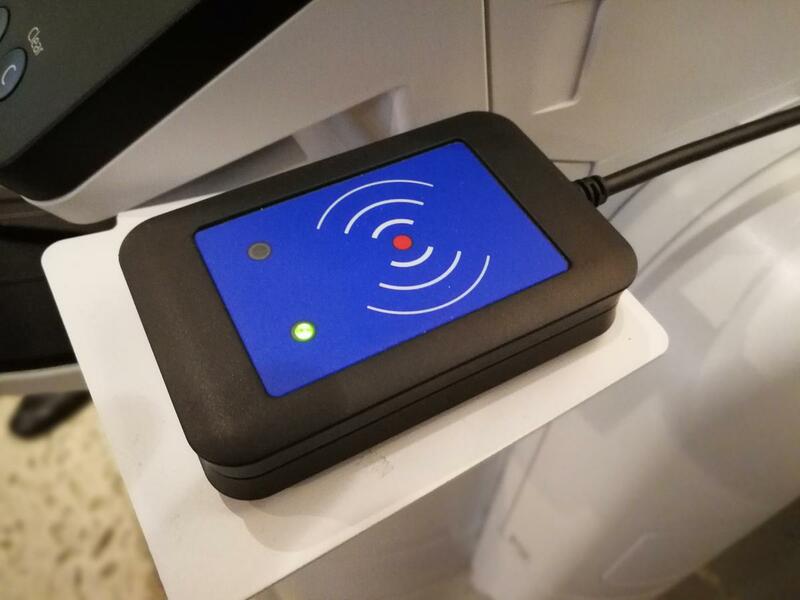 The 100ppm WF-C20590 and 75ppm WF-C17590 are both designed to meet the needs of departmental office printing in corporates, SMBs and SMEs - especially those that have peaks of high-volume productivity. 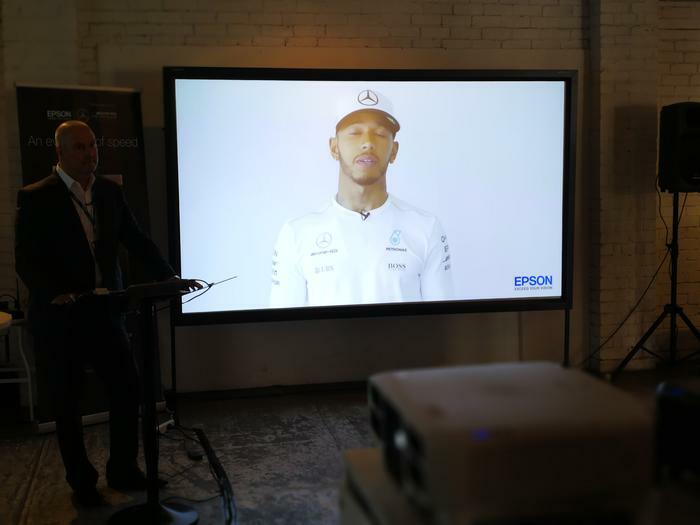 Epson sponsors Mercedes AMG Petronas Formula 1 team. As such it has access to some famous spokespeople like three-time F1 World Champion, Lewis Hamilton. Peak power consumption is stated as being 96 per cent less than a similar-speed laser printer. 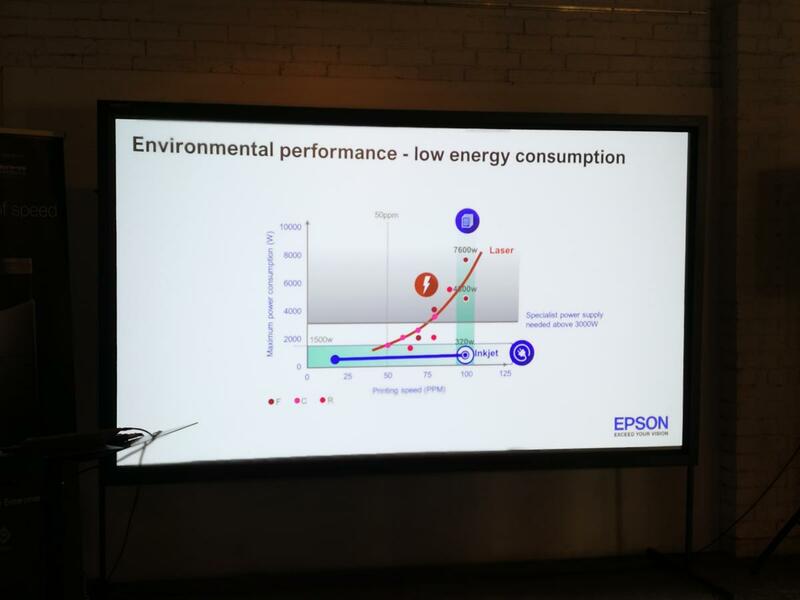 This claim refers to the comparison between an Epson WorkForce WF-C20590 (max power consumption 320W) and comparable speed model Fuji Xerox Color 1000i Press (max power consumption 7,600W). However, savings would only be realised in this area if the machine was constantly running at maximum performance. Inkjet based printers can operate at full speed without using as much energy as lasers. 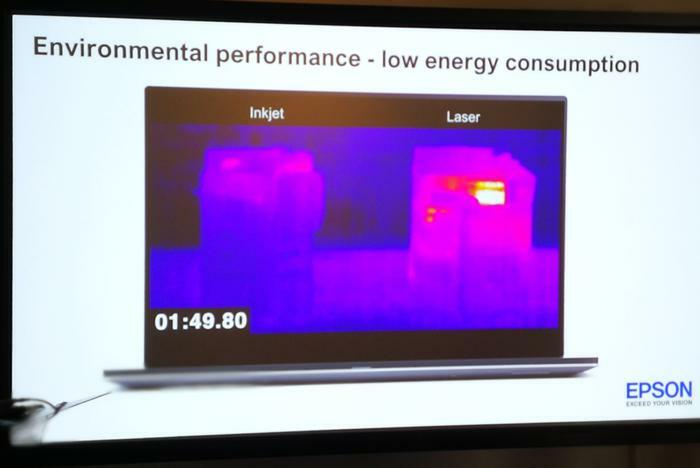 A heat camera shows the difference between a laser printer and Epson's similar-speed inkjet. 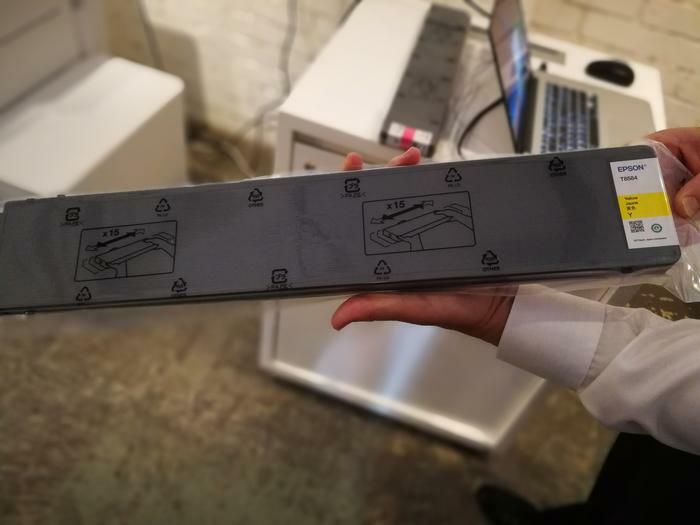 Similar laser-beating inkjet technology has been offered by HP’s equivalent PageWide technology for some time and it will be interesting to compare the two. Epson’s “inkjet linehead” is designed around scalable technology that the company originally used in its large-scale label presses. The new full-width linehead design measures 43mm across and contains approximately 33,500 nozzles. 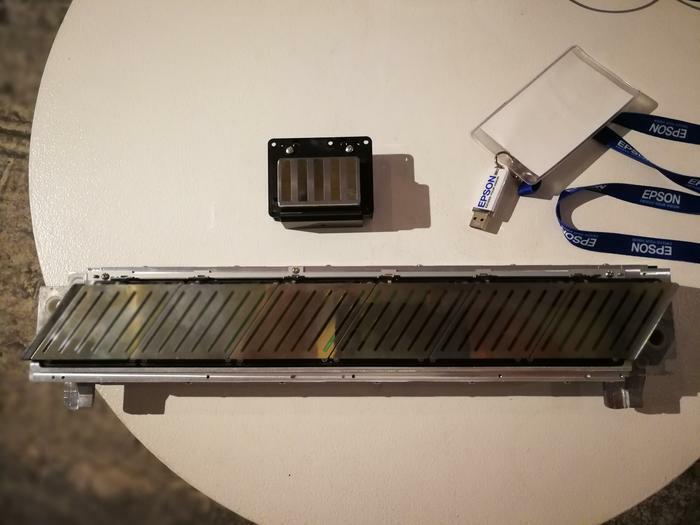 An oldschool 43mm printhead and the new 329mm-wide Epson PrecisionCore Linehead. It can spray 900m inkdrops per second. An optional WorkFlow Enterprise Finisher unit enables automatic document finishing options – there’s a 5,350-sheet max paper input with optional paper feed and a 4,000-sheet stapler and stacker. They also work with NFC . Tools and software such as Email Print for Enterprise, Epson Print Admin and Document Capture Pro add additional functionality – more than just print and scan. Existing peripherals like security card scanners are compatible with Epson's new range. Australian pricing is yet to be confirmed but is said to be highly competitive with the leading brands in the 50 to 70ppm segment of the office printing market. Epson states that WorkForce Enterprise will also be available through a range of flexible finance and managed service options to suit individual business requirements. The 100ppm WorkForce Enterprise WF-C20590 will be available from winter 2017 with the 75ppm WF-C17590 to follow. The Workhorse Enterprise control screen.